/ How To Grow Beautiful Nails? I asked a friend of mine, who is a nail expert to give me some tips and information on how to improve the look of my nails. I think it worth to share. The nails are not just ornaments of the hands but they provide protection by defending the ends of the fingers from potential hits. Among the abnormalities of the nails – dryness is the most common. The causes of nail dryness are mainly the lack of vitamin A and the drying effect of the washing and dish washing agents. If you have white spots on the nails these are indicators of lack of zinc. The nails of your hands grow at about 4 mm every month, but their growth rate can accelerate in warm weather. You can strengthen your nails with the help of a proper diet and natural oils. The most important properties of nail nourishing oils is that they nourishing both the nail-bed and the nail by filling them up with vitamins. Many people think that the nail-bed doesn’t need nourishment. The dry skin around the nail can easily tear causing considerable pain. This can be easily overcome by the help of some natural oils resulting in healthy shiny nails and nourished nail-bed, that enhances its look. Removing the dry skin from around the nails makes the nails look more neat. This however needs to be done with increased carefulness, as any damage made by the scissors can lead to the infections or inflammation of the nail-bed. A true classic recipe for nail nourishment is to combine lemon juice with olive oil. This is the easiest to prepare, just mix 2 tablespoons of olive oil with 10 drops of lemon juice and stir. You can apply this natural nail nourishment every day. Or you could also try this one, mix one tablespoon of avocado oil and Jojoba oil, add 5 drops of lavender oil and 10 drops of calendula oil this can be used daily. Vitamin E is also a great choice. Take a vitamin E capsule, press out the oil and rub in your nails daily. You will see outstanding results within a few days. There are also other oils, such as almond, linseed, castor or pumpkin seed oil which are multi-functional as they can help revitalize not only your nails, but also your hair too. How Does a Proper Diet Help? 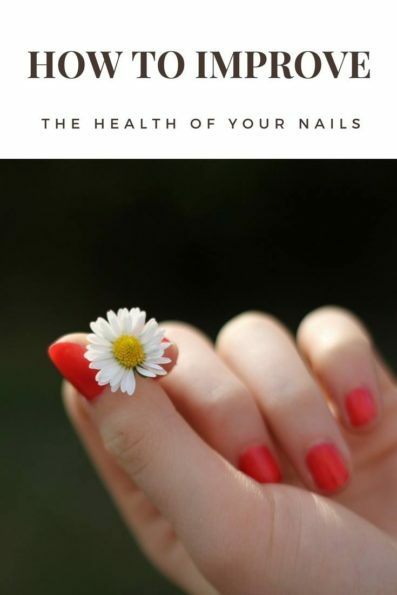 The nails consist of several layers of keratin, which is a type of protein, so a sufficient amount of protein in your diet is vital for the natural growth of nails. It is also necessary to have adequate vitamin C.
The different food supplements are the most effective if they contain biotin and a wide range of the B group vitamins.